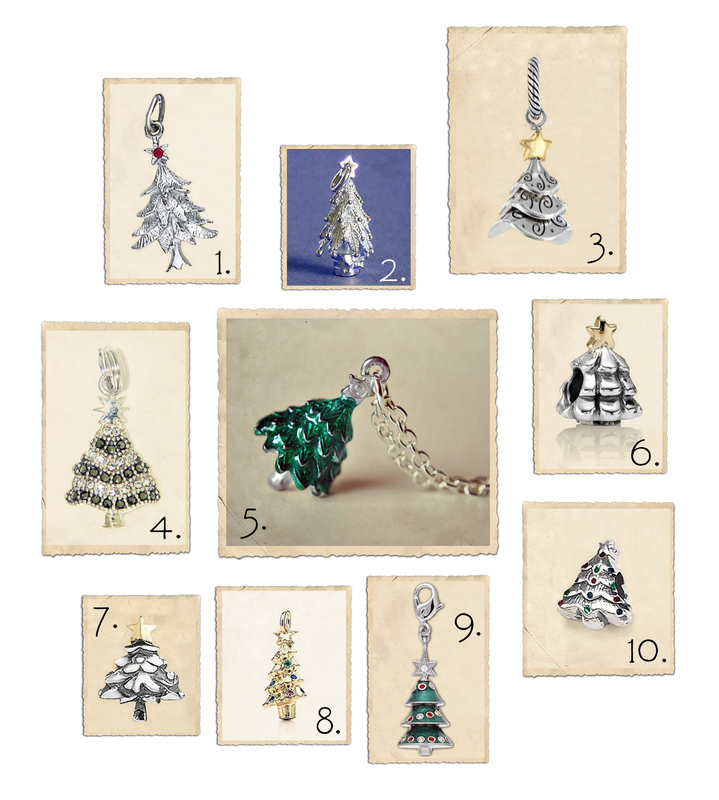 History and origins of Christmas trees plus our curated selection of Christmas tree charms. Trees have held a special meaning for people since ancient times, and bringing evergreens indoors during winter is something that has long been practiced in many cultures. In some countries, they were thought to keep evil spirits, illness and ghosts at bay; in some they were symbols of deities, and in others, they were simply a reminder that summer – and another growing season – would return. The Christmas tree as we know it is thought to have begun in the southern parts of 15th century Germany, where people brought fir trees indoors and decorated them with apples. The trees were an important part of the Winter Solstice celebration, and they were believed to keep evil spirits away (who were supposed to be particularly active on Christmas eve). Apples later turned into ornaments, and Martin Luther (the Protestant reformer) is credited with contributing the tradition of adding lights. The custom spread through Europe, but did not reach the US until the early 1800s, and even then, many here regarded them as pagan symbols. It wasn’t until the early 1850s, when a slightly doctored print of of Queen Victoria and her family (in order to “Americanize” them, Prince Albert’s mustache and the Queen’s tiara were removed) with their decorated Christmas tree was published in the US that the Christmas tree became popular. There is also an interesting variation on the story on how the Christmas tree came to be: the story of St. Boniface. St Boniface was Christian missionary in Germany in the 600-700s, everyone agrees to that, but the thoughts on his impact on the Christmas tree tradition varies. Some say he cut down fir trees in the woods of Thüringen and used their triangular shape to demonstrate the trinity, and the people in the area started bringing the trees indoors, although they hung them upside down from the ceiling. Some claim that when St. Boniface returned to Germany after an absence, he found that the locals had revered to their pagan winter celebrations, which included the sacrifice of a young man under Odin’s oak tree. Enraged, he cut down the oak with a single blow of an axe, which impressed and scared the people. As the oak fell, it had narrowly missed a small fir tree, and when the frightened people asked St. Boniface how they should celebrate, he pointed to the fir and told them to bring such a tree, which symbolized immortality and peace, into their homes. Today, a Christmas tree is an essential part of the holiday in many countries across the world, even some that are not mainly Christian. They certainly add an unmatched coziness to the celebrations, and every time I walk into a home with a decorated and lit Christmas tree, I feel like a child again – that happy excitement and expectation you always had for weeks (or even months) leading up to the big event. 7. Sterling silver Christmas tree charm bead for the European charm bracelets. For more Christmas-related charms, also see my Santa’s Sleigh charms post.